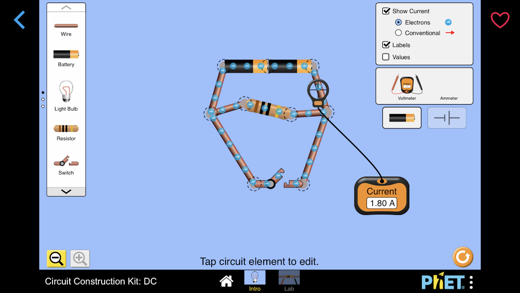 Engage in learning science and math with the award-winning PhET simulations! 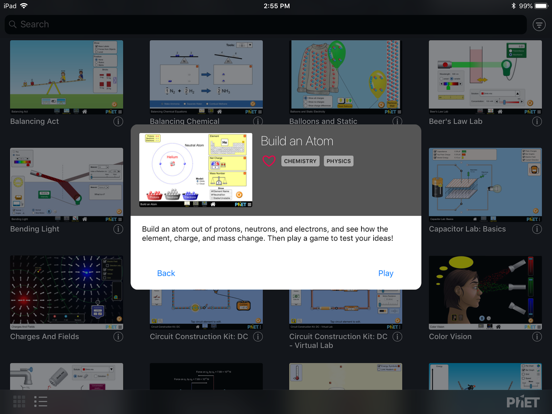 Whether understanding atoms, exploring energy, or mastering multiplication, there is a sim for every learner. 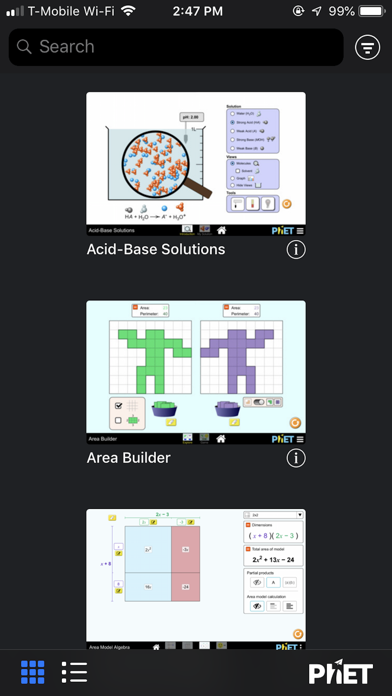 Perfect for at home, in class, or on the road, this app delivers all PhET HTML5 sims (over 70 sims) in one easy-to-use package. 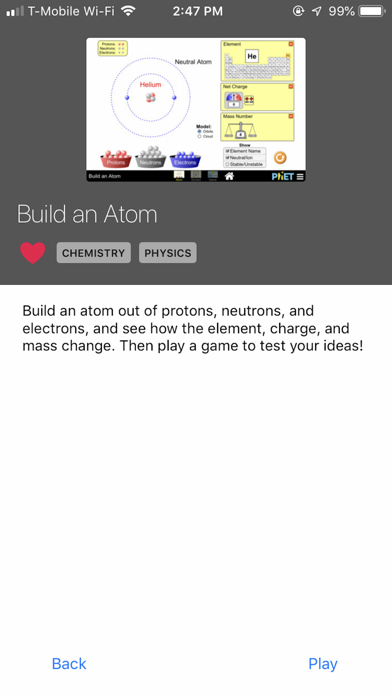 STUDENTS: Tell your parents and teachers there’s an app that makes learning about science and math more exciting - and it’s only 99 cents! 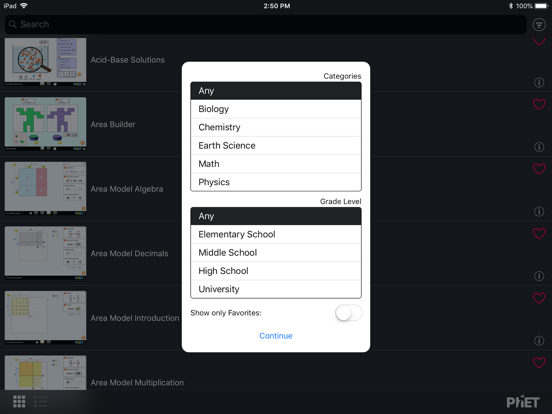 Note: The app does not include PhET’s Java or Flash sims. In addition, although we are currently working on improving the accessibility of our sims, most of the sims included in this app do not include keyboard navigation or screen reader access. As accessible sims become available, they will be updated within the app. 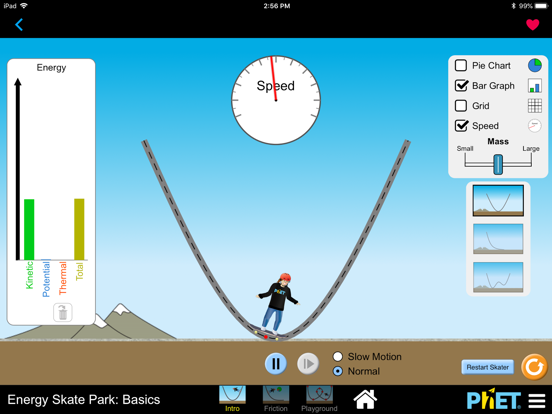 This app is by far the easiest way to run phet sims on my phone. Full screen easy to switch between sims and mark my favorites.